Around the world people are doing many things to celebrate Earth Day. My goal is that people look to the roots of a problem. 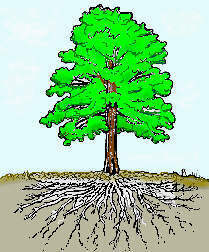 What does it take to build a strong healthy tree, or a strong, healthy adult? I posted an article in October 2016 under the headline "Climate Crisis - Environmental Racism". Since then I've added updates with links to additional articles that I encourage you to read. It takes many years for a healthy tree to grow, just as it takes 25-30 years for a child to grow from birth to the beginning of their mature adult years. 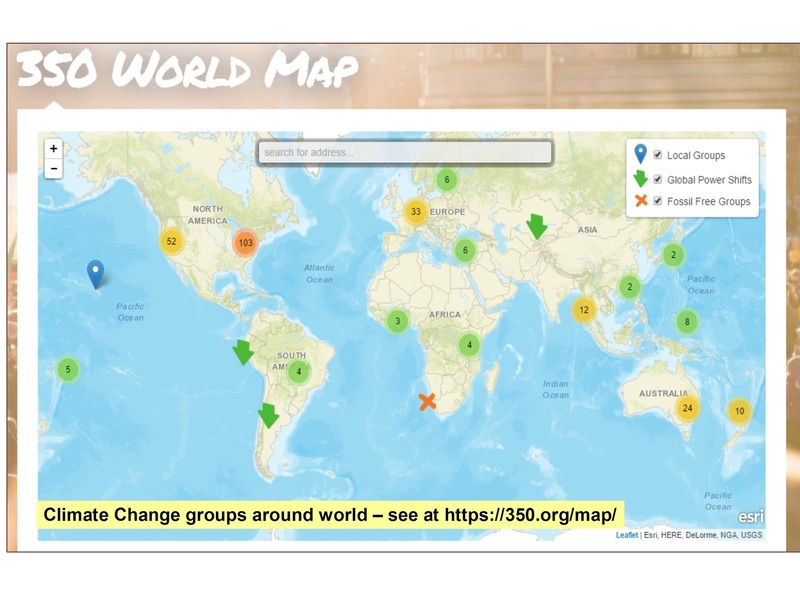 In my October 2016 article I included this 350.0rg map, showing places all over the world where people are working to address the climate crisis. 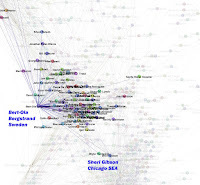 I've used similar maps to show places all over Chicago and throughout the US where kids live in poverty and need help for many years to grow into adults who can raise their own kids free of the challenges of extreme poverty. Whatever you do today to celebrate Earth Day, I hope you'll spend some time in web libraries like mine, building a deeper understanding of the problems and of potential solutions. I along with millions of others was sad to hear news yesterday of the death of former First Lady Barbara Bush. Many tributes to her are flowing on my Facebook, Twitter and Linkedin feeds. 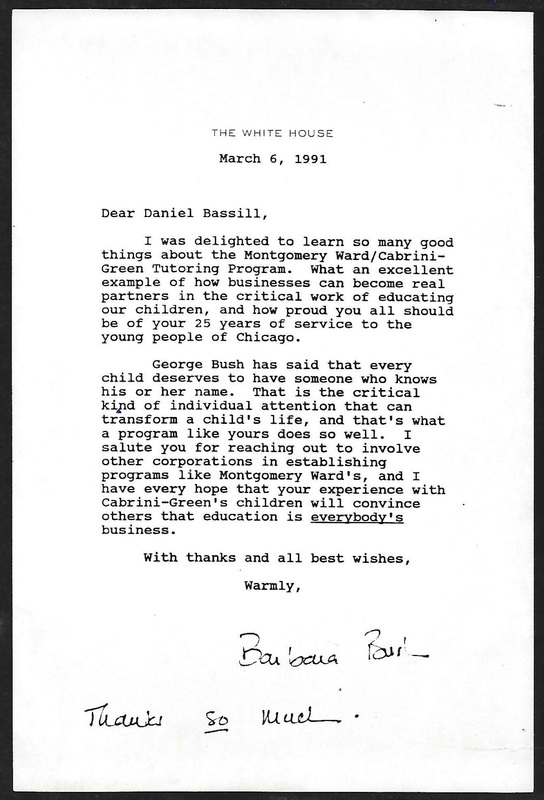 Below is a copy of a letter I received from Barbara Bush in 1991. In the second paragraph she leads off saying "George Bush has said that every child deserves to have someone who knows his or her name. That is the critical kind of individual attention that can transform a child's life, and that's what a program like yours does so well." A few years ago when Tutoring Chicago (which was originally the Montgomery Ward/Cabrini-Green Tutoring Program when I led it between 1975 and 1992) celebrated its 50th Anniversary, the keynote speaker was alumni Isaiah Brooms. He is pictured at the left with his long-term mentor, Sara Caldwell (a founder of the Tutor/Mentor Connection). Isaiah told a story of how important it had been to him when he first joined the tutoring program that I knew his name and how transformative that experience was in his life. He's now a college grad, married, holding a job, and raising his own two kids. 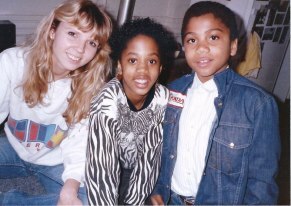 In 1988, around when Isaiah joined, we had more than 250 kids enrolled and I made an effort to try to know all of their names....aided by my PC spreadsheet attendance list! 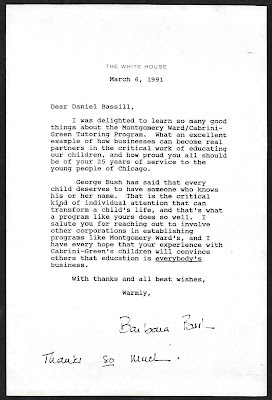 Barbara Bush continued her letter with "I salute you for reaching out to involve other corporations in establishing programs like Montgomery Ward's, and I have every hope that your experience with Cabrini-Green's children will convince others that education is everybody's business." 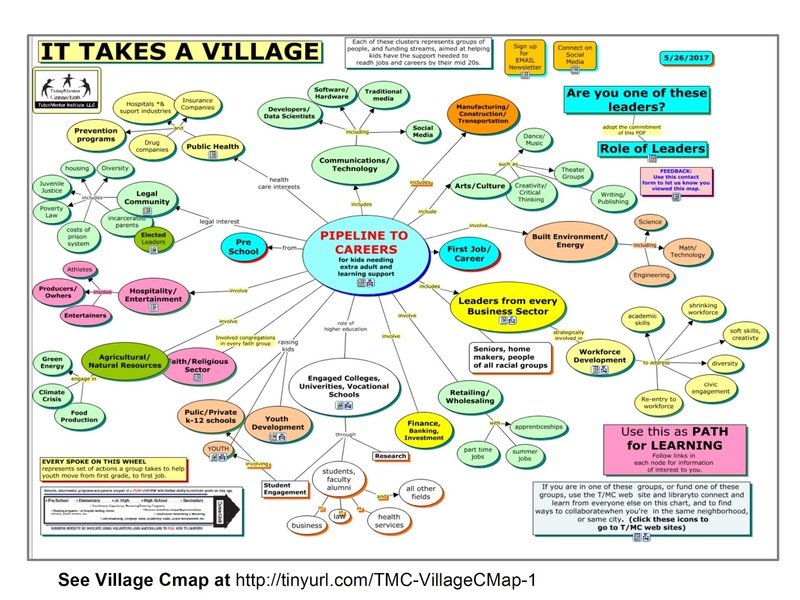 I really believe that "It takes a village to raise a child" and that organized, non-school tutor/mentor programs can be that village for many kids. 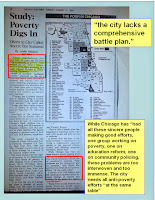 I put this 1993 Chicago SunTimes story in an article I wrote in April 2015. 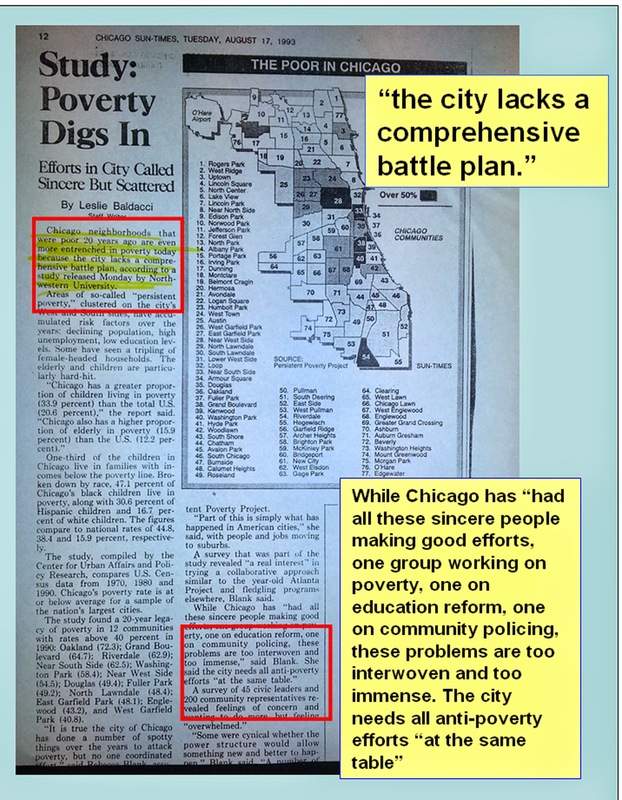 I've highlighted the opening and closing sections to show the problems that were keeping big solutions to poverty from forming in the 1970s and 80s, were the same keeping them from forming in the 1990s and 2000s. Too many people want to do their own thing. Too many are reinventing the wheel. Too little commitment to long-term solutions. Too many with "not invented here" attitudes. 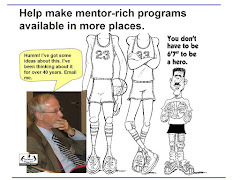 Thus, the problems that motivated leaders to launch the tutoring program at Montgomery Ward in 1965 and that have motivated me to form the Tutor/Mentor Connection in 1993 and Tutor/Mentor Institute, LLC in 2011, are still with us. 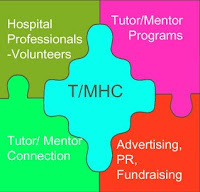 My resources to do this work have shrunk to almost nothing and I've been looking for new leaders to invest in the Tutor/Mentor Institute, LLC or to adopt it and move it into a university or some other institution. 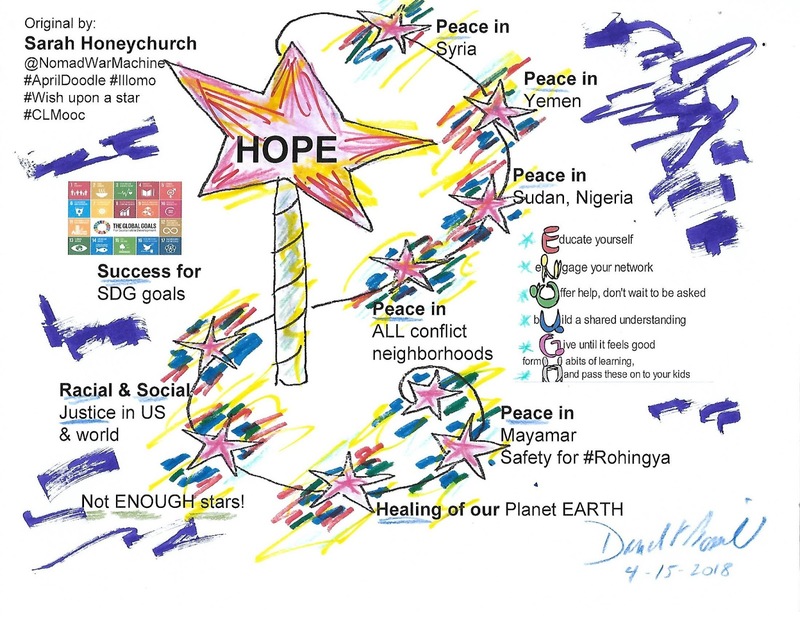 Maybe Mrs. Bush will provide some help to fuel that hope from her place with the angels in what ever Heaven there may be. 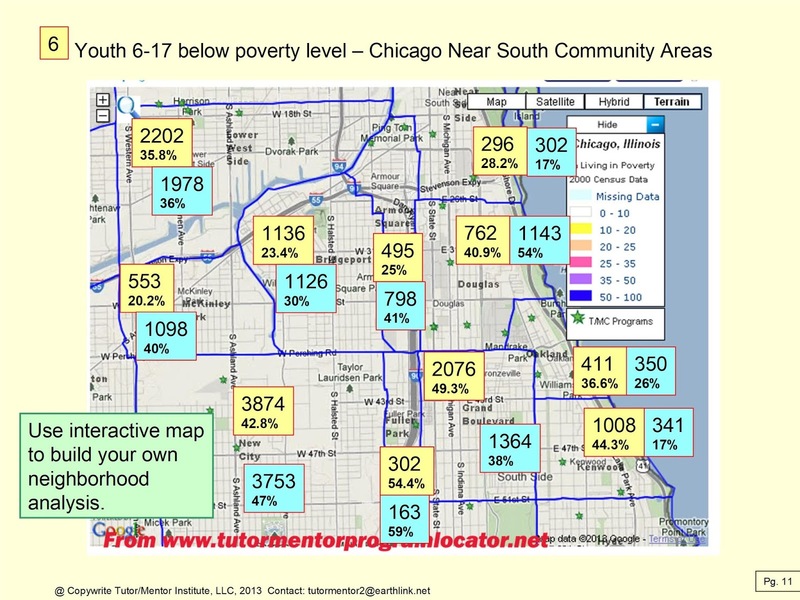 A couple of weeks ago I posted an updated version of a report from 2013 showing the number of high poverty youth in each community area of Chicago. Here's the link. In this report I show different sections of Chicago with the number of high poverty youth age 6-17 who live in each area, and what percent that is of all youth in that area. With the new maps you can see changes from a few years ago (the blue boxes). This shows that in many areas there are less high poverty youth, and in some there are more. a) need for non-school tutor, mentor & learning programs in the area, based on indicators such as poverty, poorly performing schools, health disparities, violence, crime, etc. 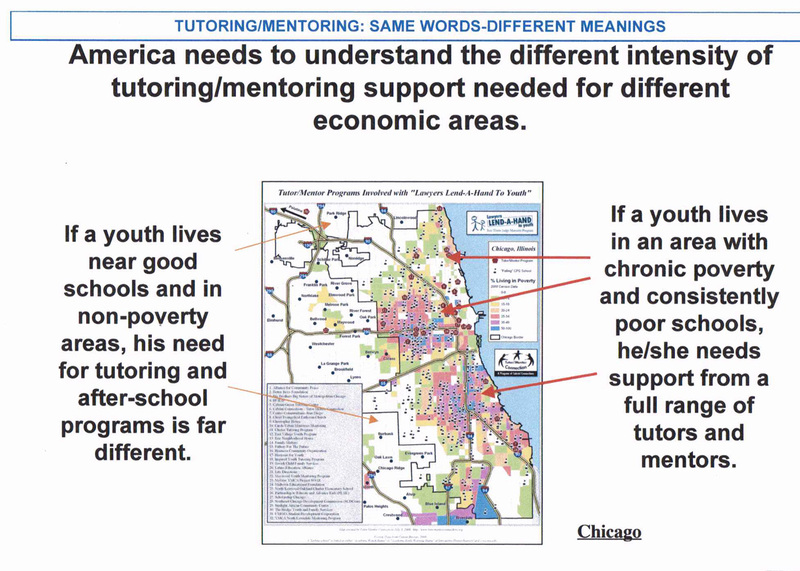 b) availability of existing tutor/mentor programs in the area, based on age group served and type of program. For instance, a program might exist that serves elementary school kids, but if there is no program in the area that serves these kids when they enter high school, this is a void that needs to be filled. Or, there might be one or two programs, but they are difficult for kids in some parts of the area to reach, or they are too small to serve the number of kids in the area who would benefit. Between 2002 and 2008 I created an interactive search engine to help people determine this information. See it here. 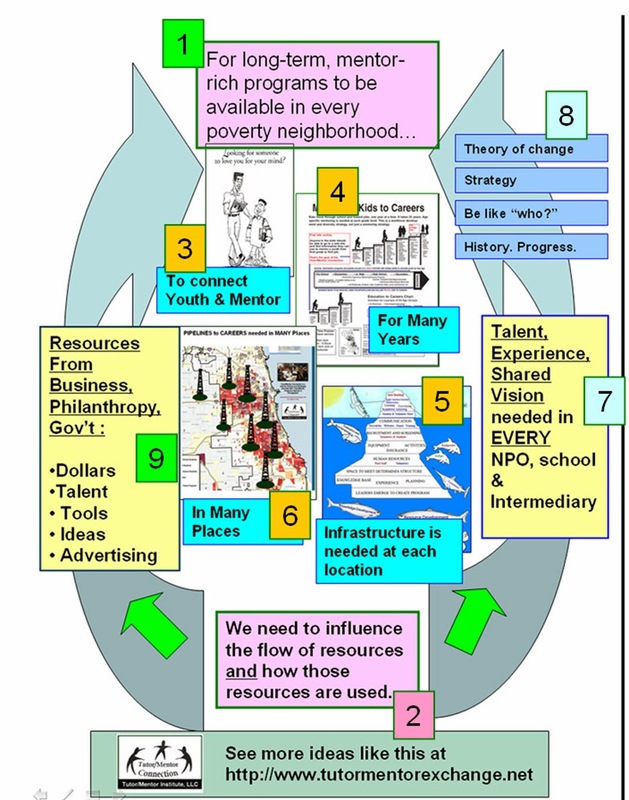 Unfortunately, I've not had help or resources to update this since 2013.
c) who are assets (businesses, faith groups, hospitals, colleges, etc) in the area who could help existing programs grow, or who could help new programs form in the area. 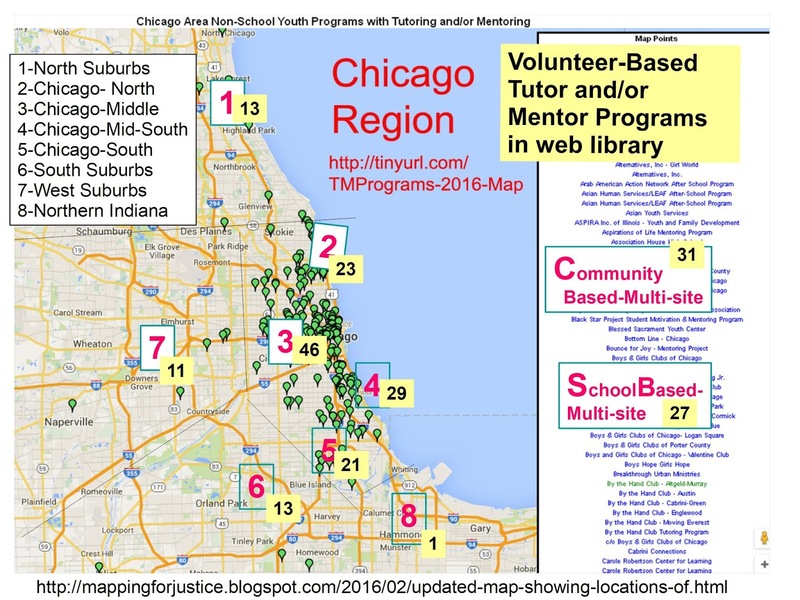 One section of the Tutor/Mentor Program Locator was intended to help people learn who some of the assets were in different parts of the city. 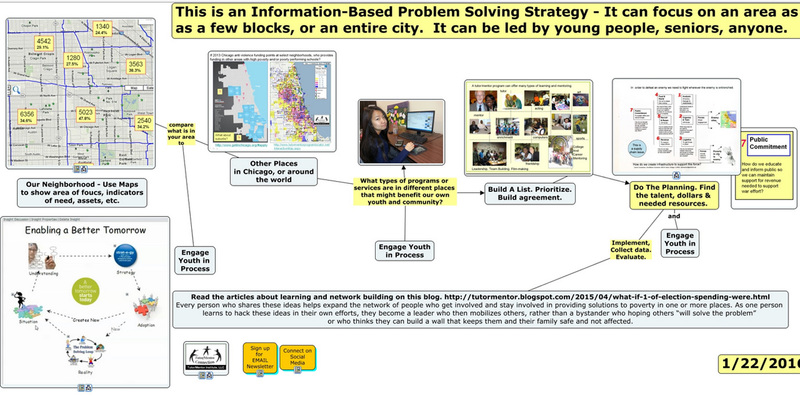 This also is out of date, but it serves as a demonstration of what's needed to support this planning. 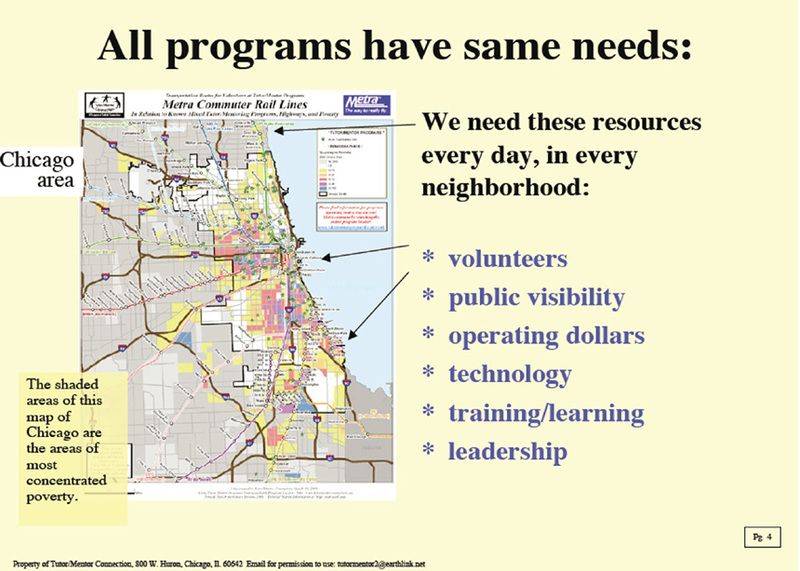 d) how well organized, experienced, effective are existing programs? 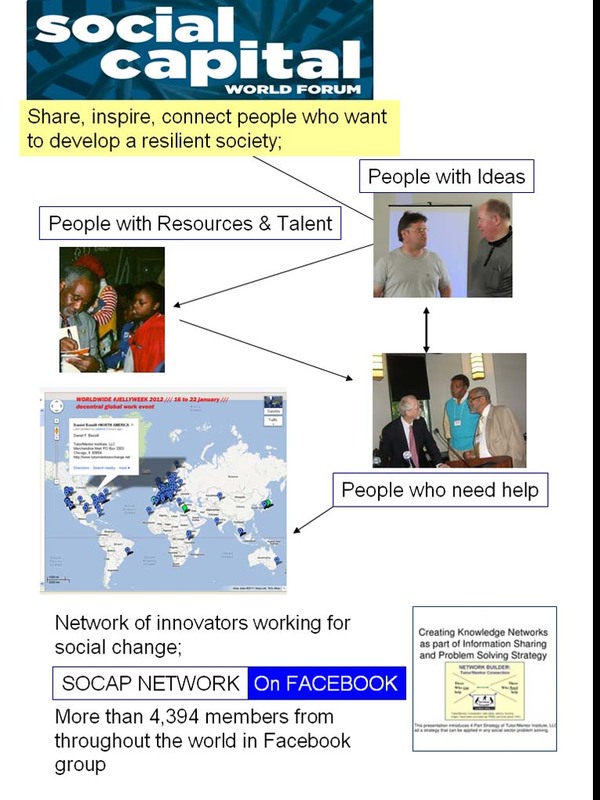 What can be learned from programs in different places to help improve programs in other places? I created this "shoppers guide" a few years ago to offer some ideas for what to look for on a program's web site. The goal is not to penalize programs that may not be as well organized as others. It is to help every program, in every neighborhood, be as good as they can be. 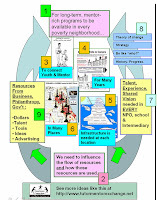 With this information anyone can begin to tell stories about existing programs, or about the need for more programs. Anyone can begin to invite others to meet and talk about the need and what can be done to help programs grow in the area. 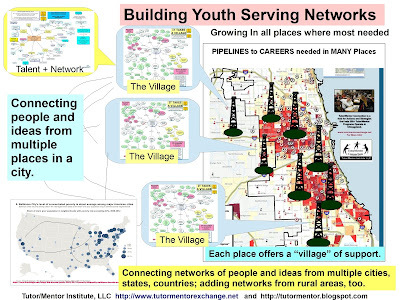 I've been using maps from the report in Twitter posts, to encourage youth organizations in different parts of Chicago to take a lead on this analysis and community building effort. Here's an example. Today I've listened to a few of the live webcast of the 2018 Skoll World Forum, being held in the UK. The theme is Power of Proximity. 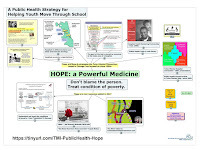 Using maps you can take a systematic approach to learning who shares a community area with you and what types of youth programs may be needed to help kids in an area move more safely and successfully through school and into jobs, careers and adult lives. Using social media, traditional media, sermons, posts in church bulletins, company newsletters and old fashion door-to-door community organizing anyone can begin to bring a group of people and organizations together to talk about the need for non-school programs and ways to fill a neighborhood with enough needed programs and services to reach 25 to 50% or more of the k-12 youth in each community area. 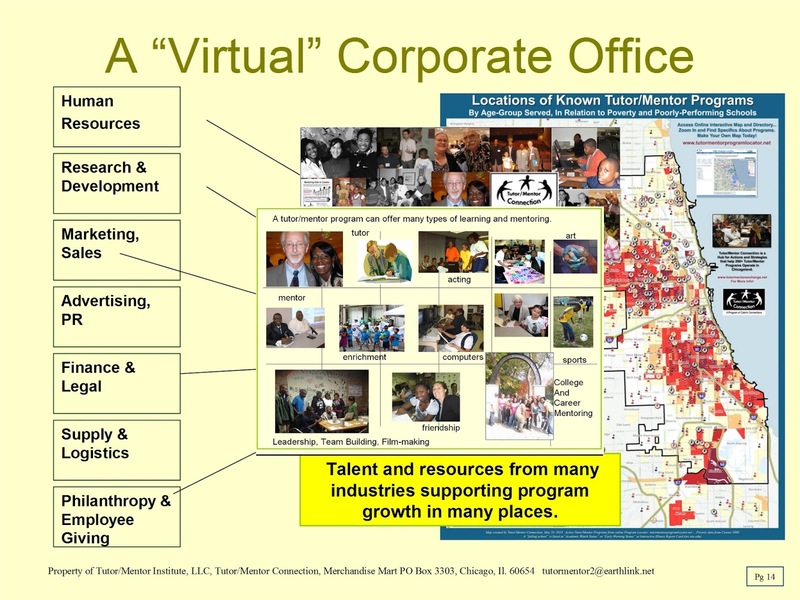 While I focus on non-school tutor/mentor programs, this same process can be used to identify other needs for place based services or for the development of new businesses in an area. Here's a link to the PDF. Feel free to create screen shots of pages in the report and use them in your own Tweets, FB posts and organizing stories. 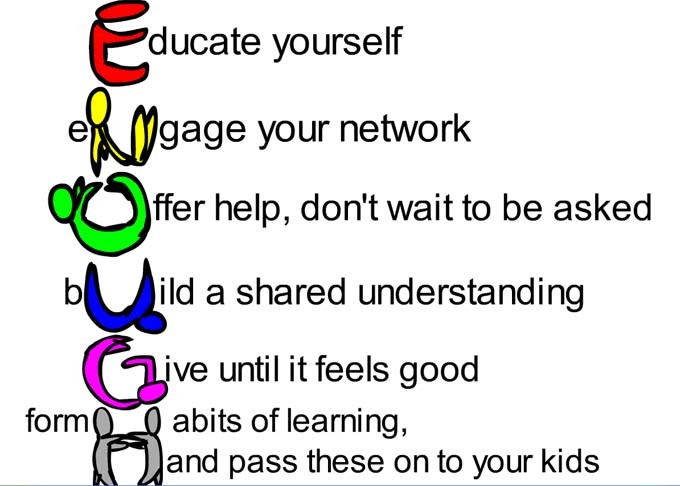 Include @tutormentorteam in your Tweet and I'll re-Tweet your post and help you draw attention to it. Some times I'm stuck when trying to decide what to write about on this blog. In those cases I look back to see what I had written on this date in previous years. I did that today. I looked at April 3, 2008 and found an article titled "Hospitals Bleeding Red Ink" that pointed at local newspaper stories talking about "Hospitals serving the poor are bleeding red ink as the uninsured ranks grow, health-care costs climb, and more government cutbacks loom." 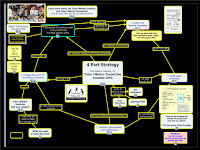 In that article I pointed to a PDF that had been first developed for me by a team of graduate students at DePaul University, which is a strategic planning template that hospital leaders could use in creating a strategy to help lower the costs of poverty in the area around the hospital by supporting the growth of non-school, volunteer-based, tutor, mentor and learning programs in the area. I've been trying to form partnerships with local and national hospitals since the late 1990s. 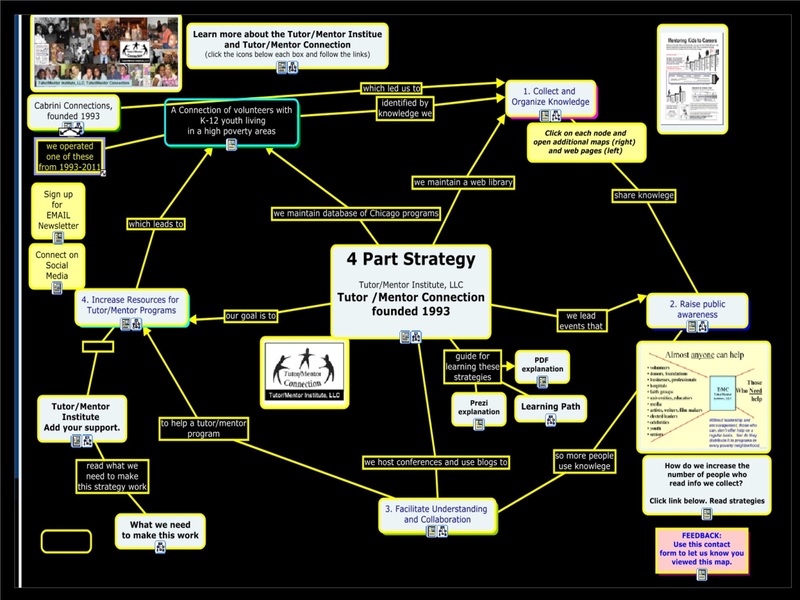 The concept map at the right was included in a December 2017 article and points to many previous articles on this subject. Hospitals and universities in every major city have the potential to take on intermediary roles that influence what happens in the area surrounding their facilities and campuses. Many already do much. My goal is to get ideas that I've been sharing into their strategic planning committees, so they can be asking "Is there more we could be doing?" Update 4-17-18: Just learned about West Side United - a hospital led initiative intended to improve health of people on West Side of Chicago. I hope you'll help me by reading and sharing these articles. I also hope you'll help by making a small contribution to help me keep doing this work. Click here to find a PayPal link that you can use. 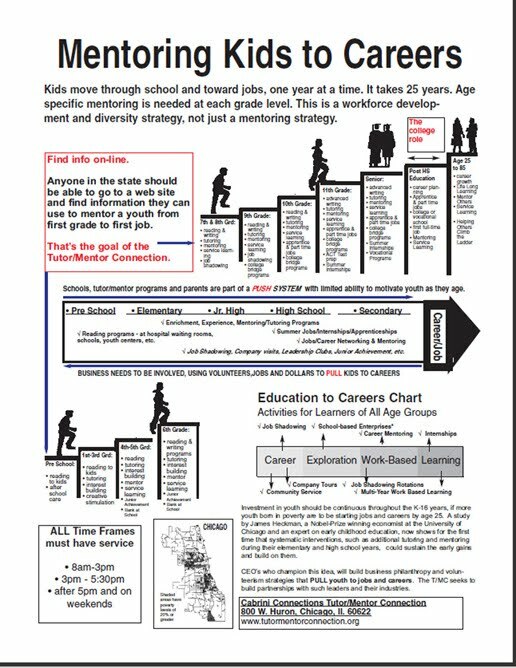 I started the Tutor/Mentor Connection in 1993 and Tutor/Mentor Institute, LLC in 2011 to try to draw greater daily attention to non-school, volunteer-based tutor/mentor programs, as a strategy for helping youth in poverty move safely and successfully through school and into adult lives, with jobs that enable them to raise their own kids without the challenges of living in high poverty areas. Since 2005 I've written more than 1000 articles on this blog that focus on this issue. 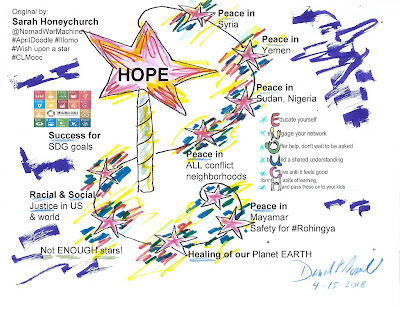 I've posted many others since 2008 on the Mappingforjustice blog. 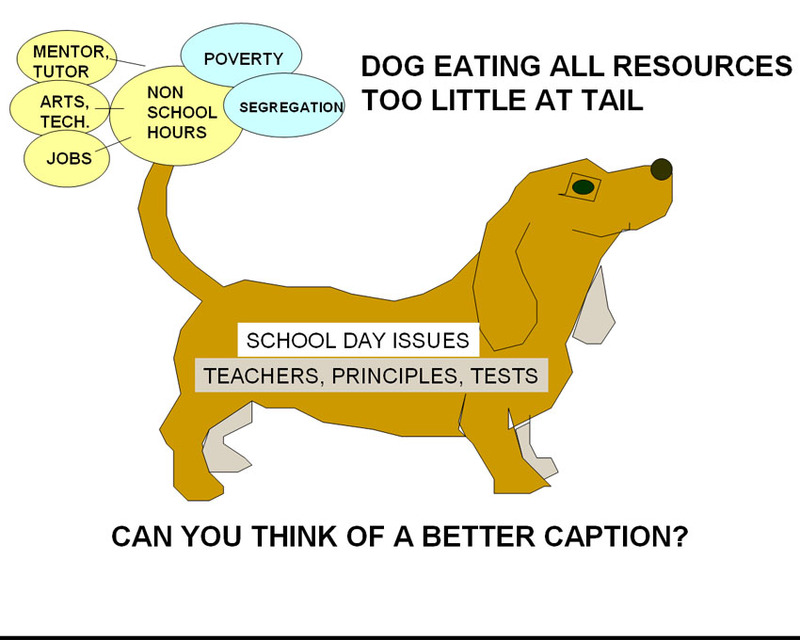 I created this graphic a few years ago to illustrate how difficult it is to get attention in the universe of education, poverty, inequality, workforce development, etc. 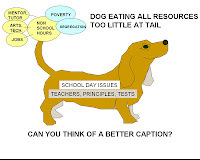 Most solutions focus on schools, and what happens in the school day. Too few focus on what we might do to help youth come to school better prepared to learn and continue their learning and network development in non-school hours and summer months. Even fewer focus on ways to generate resources and distribute them to all of the places where kids and families need more help. 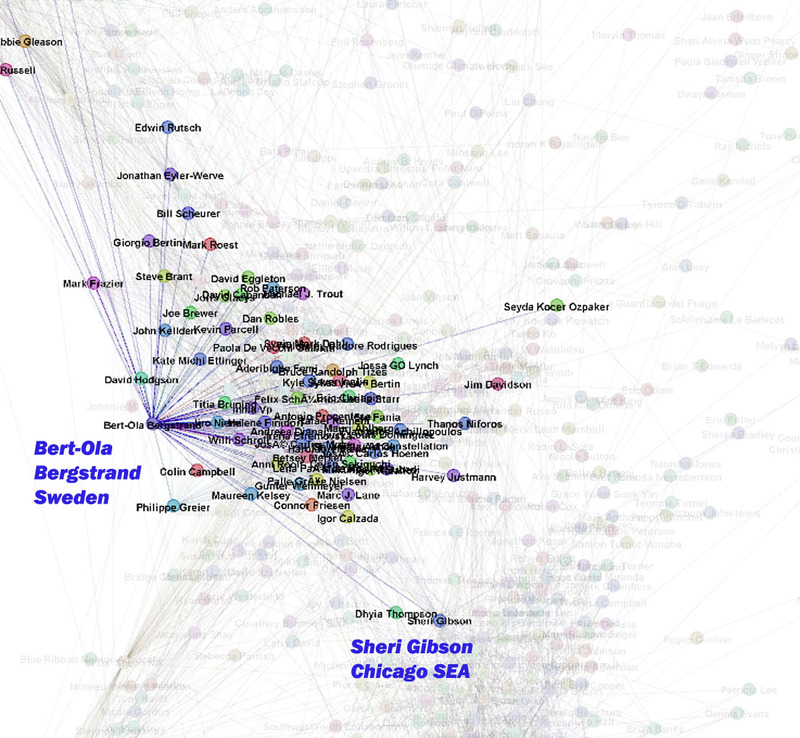 Since 1994 I've used maps of Chicago to support this effort. 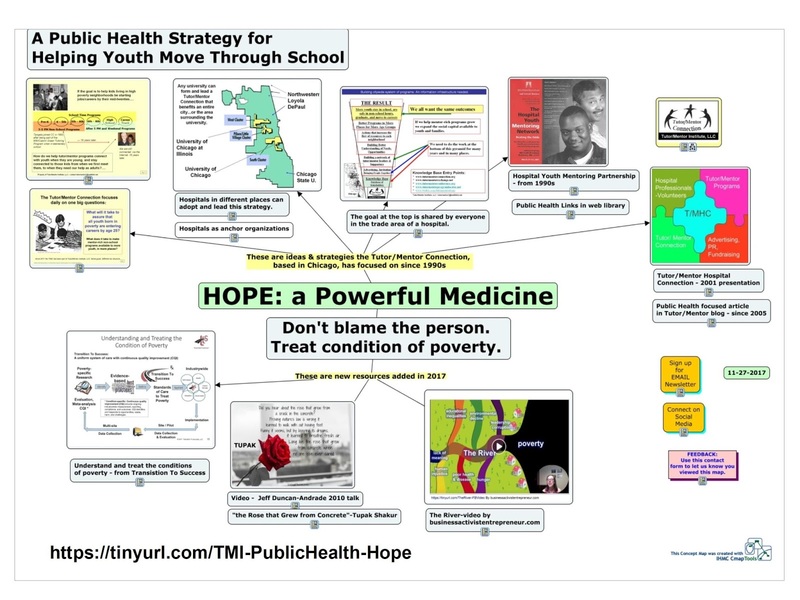 All of the conversations about how "great teachers" can change the life of a student don't include many discussions about how difficult it is to get great teachers in every classroom of every high poverty neighborhood as a youth moves from pre-school through high school and college. That's why I focus on non-school programs. 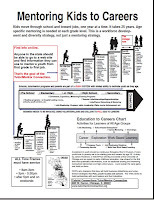 They can be started by any group of people, in any neighborhood, who want to try new ideas for helping youth become life-long learners, and move through school --- even if the local school is not interested, or able, to provide great teachers and learning opportunities in every classroom. Furthermore, they offer an entry point for people who don't live in poverty, don't have kids in the school system, and who might never get involved in trying to build a better birth-to-work support system. Several sections of the web library I've built since 1998 point to non-school organizations who are doing this type of innovation. At the same time, other sections focus to innovations that are taking place in many public schools. Other sections focus on collaboration, innovation, knowledge management, etc . The challenge is drawing more people to this information, to learn from it, and apply ideas in their own schools or non-school programs. Another, is to encourage people in cities beyond Chicago to build, maintain, and share similar libraries. A couple of weeks ago I found an article by Steve Whitla that helps me understand why it's so difficult to communicate complex ideas when there's not a large number of people who have a shared experience. 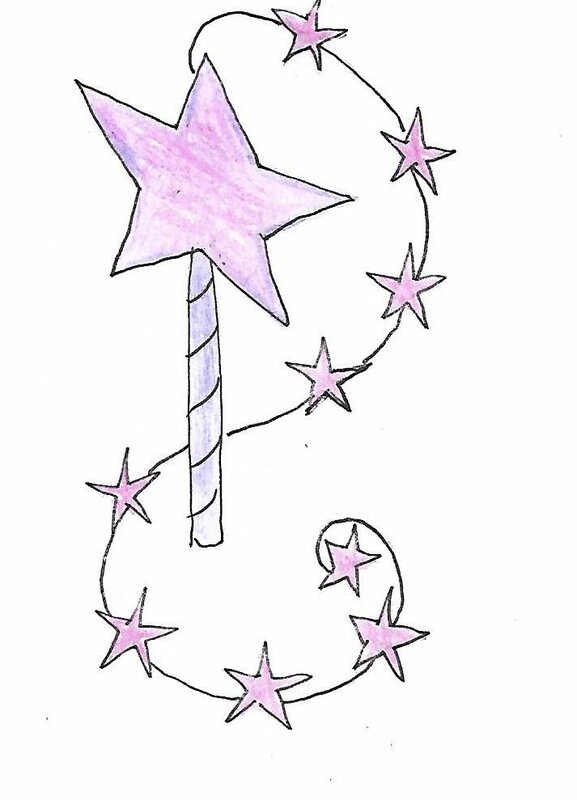 I posted it on Hypothes.is so I could highlight parts of it and add comments. Today Steve posted another article on this topic. Read it here. Just to imagine how small I feel in this universe of ideas, I encourage you to view this video. A human being would be far to the left of Ceres, which is the first object in this video. When you view the entire video you can see that our speck of life is invisible. Yet, how we use this speck of life is important. Every day I'm reaching into small parts of this universe with ideas and in an effort to learn from others and connect with those who also focus on building and sustaining non-school support systems in thousands of place around the planet we live on. It really only takes a small group of dedicated people, with different talents, to make huge changes in the world. Thank you to those who help me by reading, following, forwarding and re-tweeting. Remember, we don't need to find everyone. We just need to find a few.